How do you make that special person feel even more amazing on their birthday?? You put a crown on them!! And the Surprise! I Want It All Bundle by Bo Bunny is the perfect bundle to use to make one! 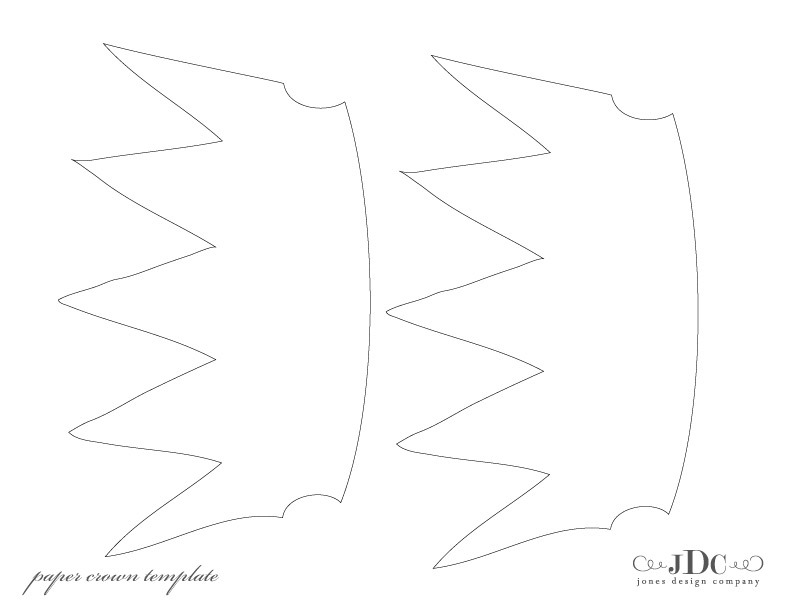 I thought this crown template from Jones Design Company would work perfectly for my project. You can either use this template, or get creative and customize your own! Cut out your crown using Surprise! Birthday Sheet side b. 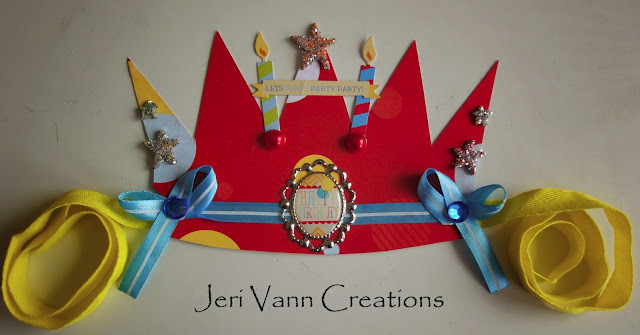 Find some ribbon that you love, and the Happy Birthday Trinket from the bundle. 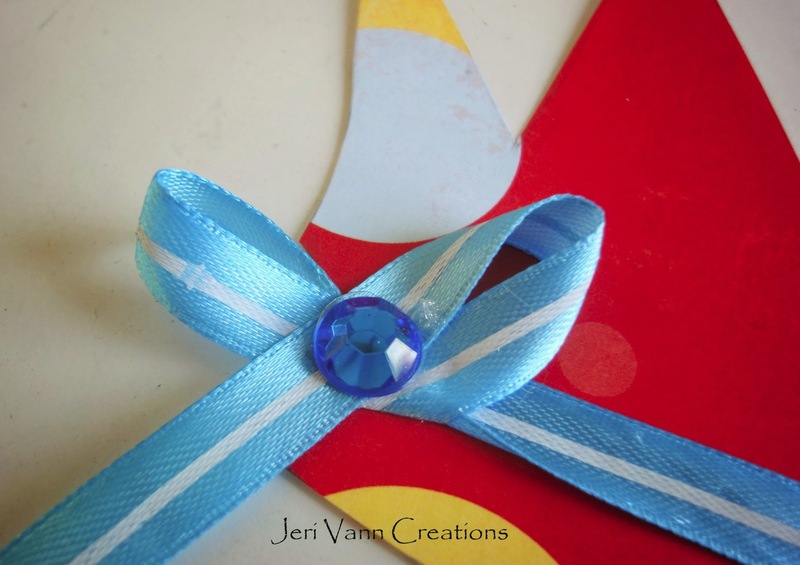 Using your hot blue, put a dab in the center and place the center of the ribbon on it. Then you can glue the Trinket on top of it. Then, take each side of the ribbon and wrap it around, making a bow, like the image. Make sure to use a dab of hot glue inbetween each layer. This will help hold the ribbon down so you can easily make the bow. Once you get the bow to look how you like, grab a Jewel from the bundle and glue in the center of the bow. 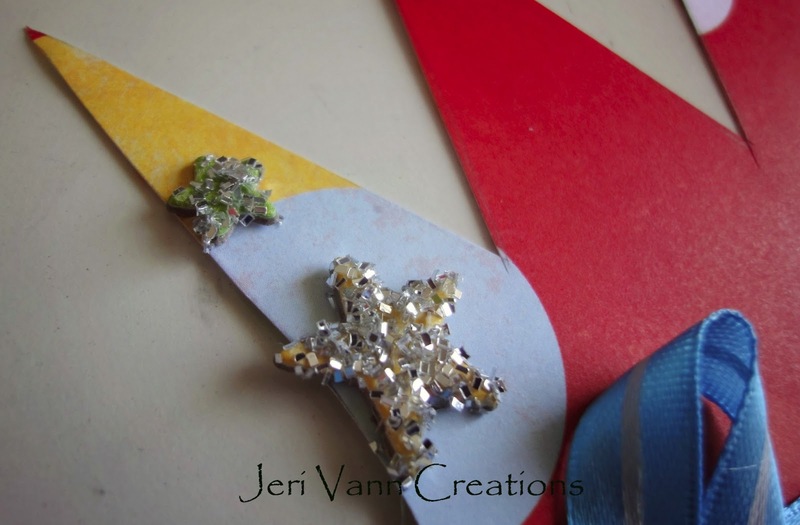 Next, choose 1 large star, 2 medium stars and 2 small stars from the Chipboard Sheet in the bundle. I punch them out, so they keep the paper backing until you are ready to stick them to the project. 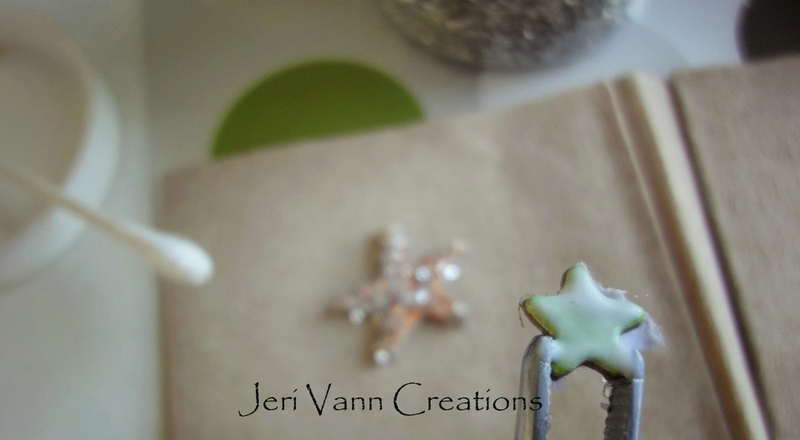 With some glue or ModPodge, cover the star and sprinkle with some silver glitter. Let dry. 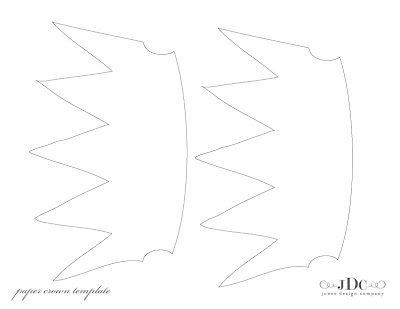 Once dry, Place the large star on the top, center point of the crown. Place one each of the medium and small stars on each side point. Next, choose the type of trim you want to hold the crown to the Birthday Person’s head. I chose this yellow cotton ribbon. You can also use elastic if you like. 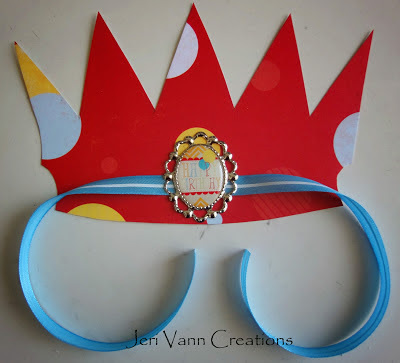 Flip the crown over, and hot glue the trim across the bottom of the crown. 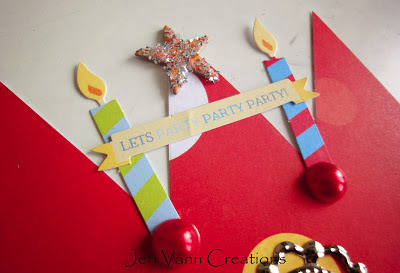 From the package of DieCuts, choose the 2 candles and the Let’s Party banner. You can use hot glue or double sided tape. Secure the candles on either side of the center point. Secure the banner across the candles. Then choose 2 Jewels from the bundle and glue to the bottom of the candles. 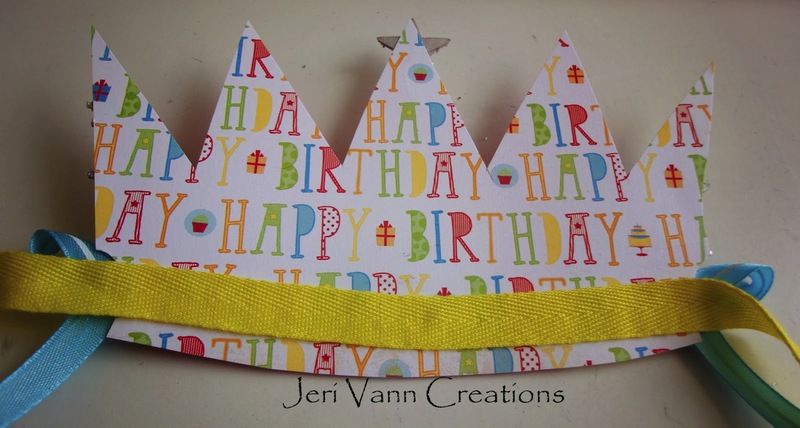 And now you have a finished Birthday Crown!